The traditional winery in the municipality Oberhausen is located in the German wine-growing region Near, The first records of the family Dönnhoff already exist in 1761, in the family chronicle early grape blossom (1781) and rich grape harvest (1784) are documented in detail. The grandfather Herrmann Dönnhoff Senior (1880-1953) already had a great passion for Riesling and paid great attention to winemaking and the purchase of the best vineyards in the area. His son Hermann Dönnhoff Junior (1916-1991) continued this tradition. When Helmut Dönnhoff vinified his first vintage at the age of 22 in 1971, the company had already become a pure winery. 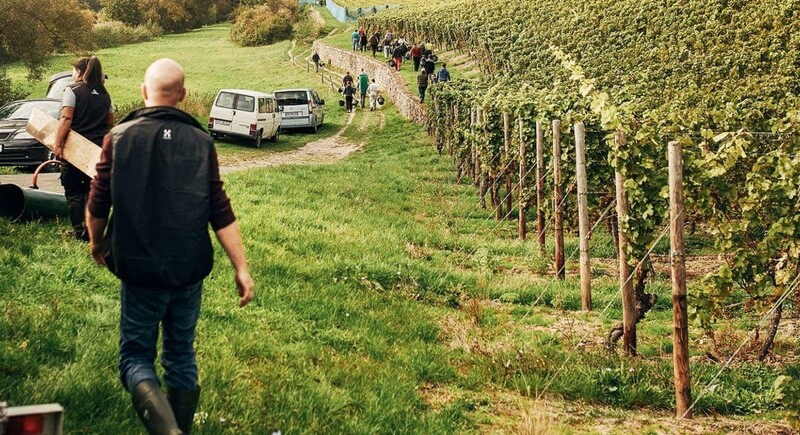 His saying "My vineyards are like my children" illustrates how much emphasis is placed on meticulous vineyard work. After his training and various stays abroad, the fourth generation of the company is now run by Cornelius Dönnhoff. The wines are made according to the VDP classification model marketed in the lines Gutsweine, Lagenweine and Grosse Gewächse. The fermentation Partially done too spontaneous with vinous yeasts in stainless steel tanks, After that, the wines are in traditional old ones big wooden barrels expanded from German oak. In weather-appropriate years are also Eiswein vinified. Every year around 180,000 bottles of wine are produced. The winery is a member of VDP (Verband deutscher Prädikatsweingüter). This page was last modified at 10 April 2019 at 17:01.